Dr. Hiba Abdulsattar is a graduate from New York University Health Langon Advance Education in General Dentistry program. This was her third graduation as she had graduated from Boston University Henry M Goldman School of Dental Medicine the Advanced Standing Program with Honor and before that from College of Dentistry, University of Baghdad. Dr. Abdulsattar is an affiliated member of the American Dental Association and Massachusetts Dental Society, where she is ultimately committed to providing the highest quality dental care for all of his patients that relates to total well being. 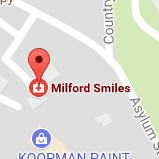 Dr. Abdulsattar’s husband, Harith, is also a dentist and currently working in a dental office in Dudley, MA. 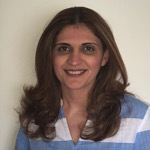 Their two lovely kids want to be dentists in the future and on weekends and holidays, Dr. Abdulsattar spends her entire time with her kids exploring the wonderful New England area and participating in fun and educating programs.